He also promised the stakeholders that the process will be transparent. After his intro, Mr. Ruiz introduced Mr. Manzi. 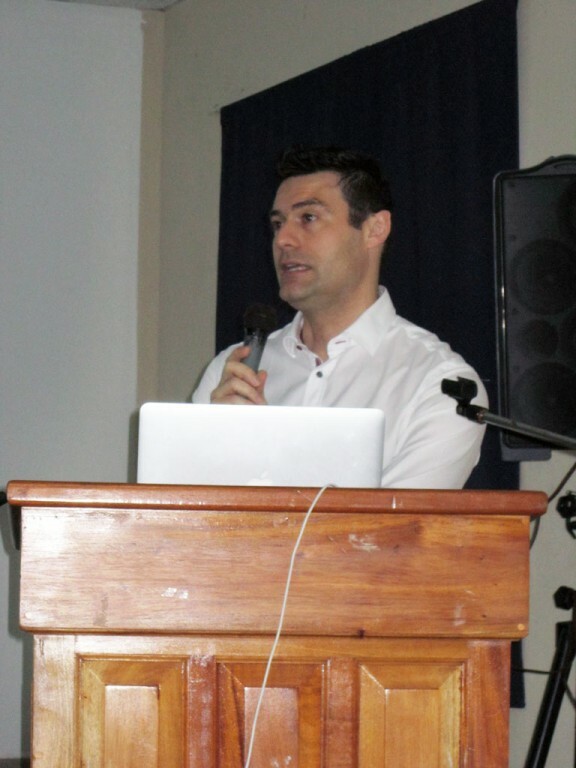 Mr. Manzi gave an enlightening two hour presentation about medical tourism. He emphasized what Belize must do to become successful long-term in this challenging market. 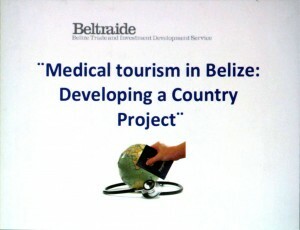 He compared Belize to the neighboring Latin American countries that have achieved success in medical tourism. He also provided data for nearby countries that are just now entering this competitive arena. Then he described the detailed steps that will be undertaken during this study. Representatives from Beltraide, the Belize Tourism Board, the Belize Medical Association, the press, and expat consultants attended. After the presentation the group participated in a lively discussion. Mr. Manzi confirmed that there is great opportunity for Belize in this market. But the price of entry is high. And any visible medical failures can ruin a country’s chance of success. He compared Belize to Costa Rica. There are obvious similarities between the two countries. This is especially true in regards to tourism. He emphasized that Belize will have a much better chance of succeeding if they integrate Belizean doctors into this process now. This is the approach that has succeeded in Costa Rica. There are also some critical differences between Costa Rica and Belize. Belize has fewer specialist doctors and few hospitals. He noted that Belize’s medical facilities will need to go through an international certification process, to gain credibility. A major complaint of the Belizean doctors present was that the government has yet to institute medical laws and regulations. Dr. Joel Cervantes, the director of the Belize Medical Association, was quite vocal on this issue. He stressed that since 1999 his organization has pushed the Ministry of Health to pass a Health Act, and health regulations. As of yet nothing has been passed. He emphatically stated that this first step must be accomplished prior to proceeding with any medical tourism plans in Belize. The moderator stressed the importance of certifying all future medical tourism facilities. North Americans, who are the primary medical tourists, are seldom willing to entrust their medical care to a facility that hasn’t passed an international certification process. Costa Rican doctors were willing to undergo the international certification process. But it is both expensive and challenging. And it is a continuous process. The doctors would need to be willing to undergo scrutiny. They could be asked to modify their practices to align with international practices. In early September Mr. Manzi will lead another workshop, to update the findings of this study. The goal is to complete the study within three months. 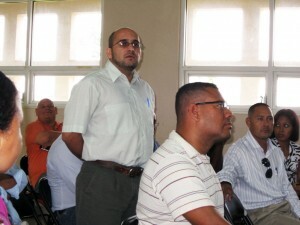 But Mr. Manzi, and Mr. Ruiz, noted that this first step of the process must be comprehensive. They will not rush to complete it if there are still serious issues needing to be addressed. Beltraide’s Mr. Ruiz stressed that it is imperative for Belize to go through this initial process before rolling out a national medical tourism plan. Many Belizean stakeholders present expressed concerns that they have been excluded from the process to date. Mr. Ruiz and Mr. Manzi assured them that they will listen to all points of view.
" …it's going to be stage by stage approach where we need to get to that point where our medical practitioners or those who will participate in the medical tourism industry - Belizeans will have what it takes - financing or the technical know-how so that they can participate." A number of the participants expressed concern about the permits that have already been submitted for future medical tourism facilities. The doctors, in particular, were unhappy that some of the current medical tourism plans (and permits) submitted do not integrate Belizean doctors or nurses. Discussion during the workshop indicated that those permits have been put on hold until Belize’s medical tourism plan is completed.